Luxury spaceous, modern and open design house in beautiful, private, wooded area within exclusive Knight's Hill community. 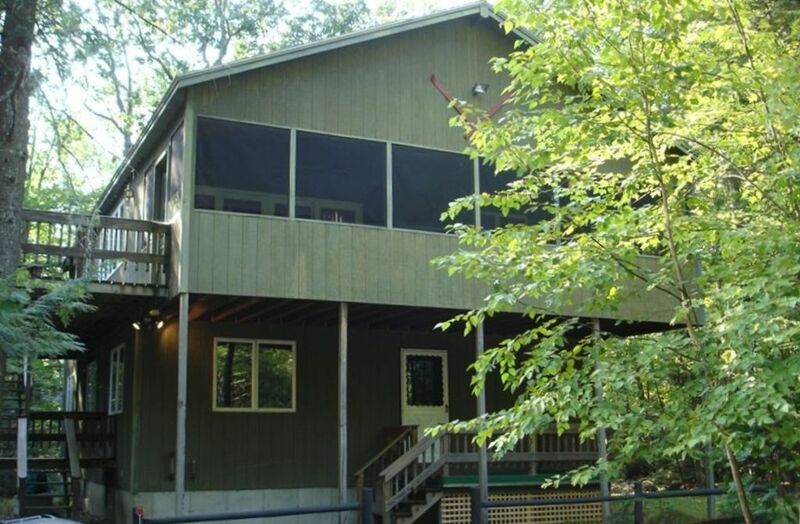 Located 150 ft from shorefront and one minutes walk to private, sandy beach on Moose Pond (13 mile long lake), docks, pools (kiddie and 90 ft adult), tennis, basketball, and two clubhouses. Excellent hiking, swimming, boating, fishing, and water sports on this 13-mile long, picturesque lake. Four golf courses within 20 minutes. Excellent in-season hunting and proximity to Fryeburg Fair. Winter offers skiing at Shawnee Peak ( 1 mile away), Conway 25 min drive,and Sunday River 40 min drive. Excellent snow mobiling trails from front door to Canada. Accessable level lot fully plowed and maintained. Ski season available at $5500 to $6500 with flexible dates. Winter skiing advantage: Only 1 mile from Shawnee Peak, 35 min to Sunday River, 25 minutes to North Conway. Excellent cross country and snow-mobile trails from front door to Canada. Close to Black Mtn, Cranmore, Attitash, Wildcat, Storyland and factory outlets. Ten minutes to Saco River and Fryeberg, 45 minutes to Portland coast, and 15 minutes to three golf courses. Bridgton center is just six miles away - offering many restaurants and vacationer-oriented, recreational activities. House is modern with over 3000 sq ft of living space. Upper level has 20x28 fireplaced living area with 15 ft. high cathedral ceiling , large top-of-line applianced and fully equipped kitchen with 40 ft. of oak cabinetry and 8ft X 12 ft T-shaped breakfast bar that seats 8. Has separate dining area w/ glass table that seats 6-8. and full bath. Large Anderson casement windows (with custom vertical blinds) and 3 skylights create an open/airy atmosphere during day, and track lighting and dimmers provide interesting evening lighting options. Living room opens onto fully carpeted and screened 11x30 screened and carpeted deck, and open deck with lakeview for sunning. Lower level has knotty pine entrance room, second full bath, and 4 tastefully furnished bedrooms with large closets and ceiling fans. Basement has clothes washer and dryer and extra set of bunks Fully equipped, just bring linens. Fully winterized w/ circulated hot water by oil. The chalet was very clean and comfortable. Plenty of room for 12 people. Great kitchen and living room space. There was nothing we lacked in the kitchen area as far as dishes, pots and pans etc. Sleeping spaces were excellent. The Knights Hill Association facilities such as the lake and the wonderful pool were used frequently. Owner does a super job at keeping his place clean, modern and a great place to vacation!! !